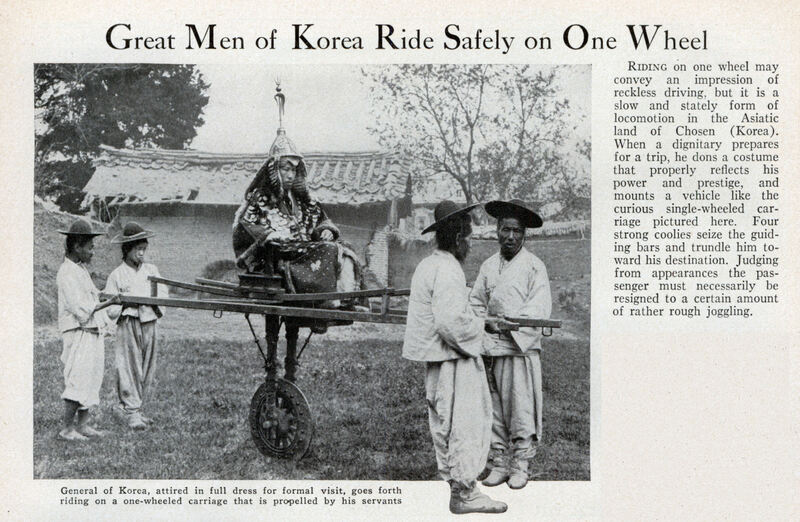 Riding on one wheel may convey an impression of reckless driving, but it is a slow and stately form of locomotion in the Asiatic land of Chosen (Korea). When a dignitary prepares for a trip, he dons a costume that properly reflects his power and prestige, and mounts a vehicle like the curious single-wheeled carriage pictured here. Four strong coolies seize the guiding bars and trundle him toward his destination. Judging from appearances the passenger must necessarily be resigned to a certain amount of rather rough joggling. Or a really cheap rickshaw. Looks like something out of Dr. Seuss. BTW that’s a gorgeous cover. 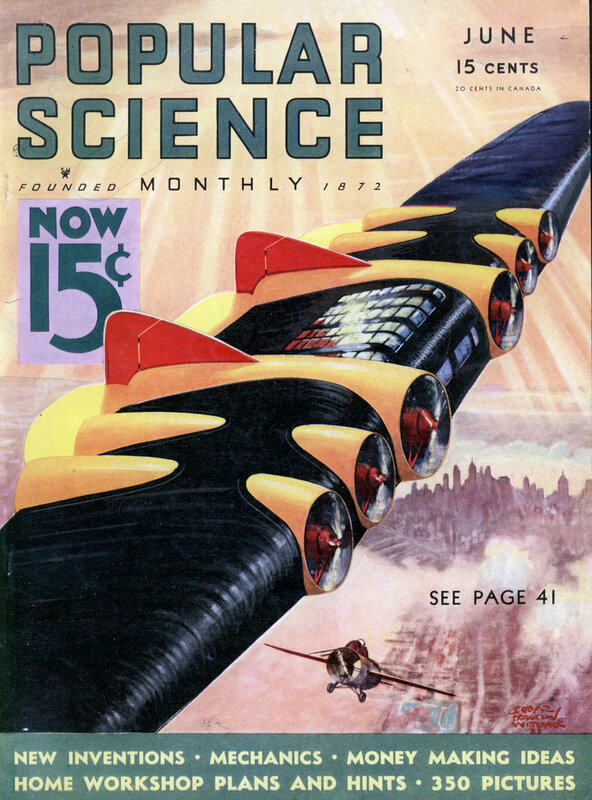 Pity more planes aren’t painted like that.